Our Portsmouth life transforming summer academic enrichment program has been awarded a $7,500 grant from the Southeast Virginia Community Foundation! The Southeast Virginia Community Foundation (SEVACF) is a nonprofit, community corporation that connects people who care with causes large and small to benefit the communities they serve. Created in 2010 by the merger of the Portsmouth Community Foundation (1965) and Chesapeake’s Heron Foundation (2008), SEVACF has been serving the community for over 50 years. SEVACF helps donors meet local charitable needs in Chesapeake, Portsmouth, and the greater southeast Virginia region. They support nonprofit organizations that are working toward a common goal of creating a better, livable southeast Virginia. The Foundation offers a viable source of community funding to provide critical resources and beneficial services in all areas of need, including health and human services, housing, youth development, education and the environment. 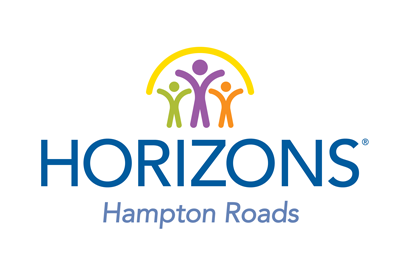 SEVACF’s investments enable organizations like Horizons Hampton Roads to provide effective programs and respond to the needs of hundreds of low-income public school youth in Portsmouth. Thank you Southeast Virginia Community Foundation! Together we are inspiring minds, building community, and transforming lives!